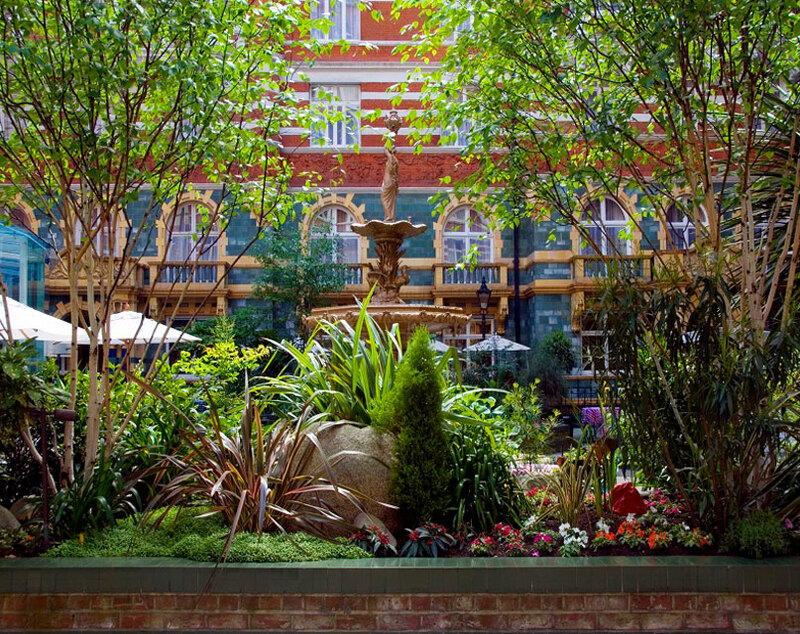 One of London's Most Idyllic Outdoor Dining Spaces. 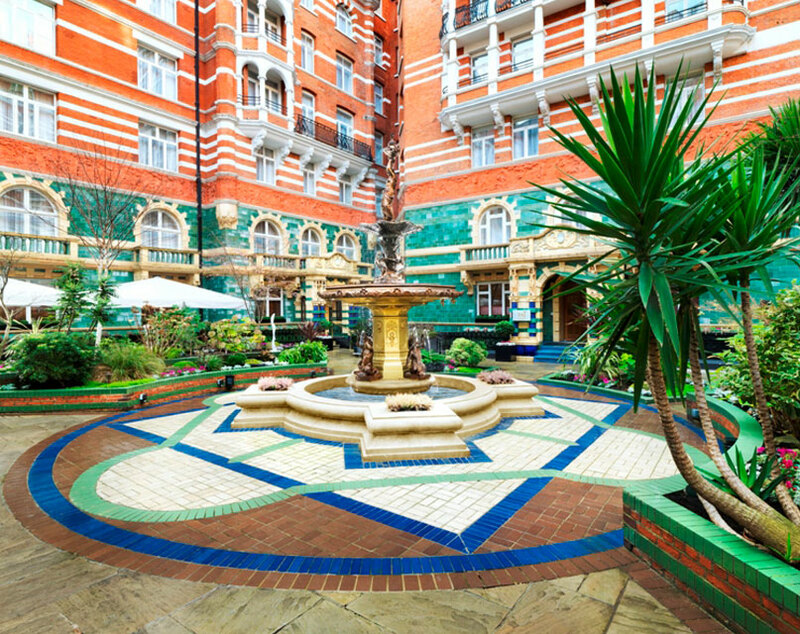 The courtyard is surrounded by a unique turn-of-the-century red brick frieze, depicting scenes from Shakespeare’s Sylvan plays, overlooking a cherub-adorned Victorian fountain. St. James’ Courtyard is a tranquil escape from the hustle and bustle of central London, where you can marvel and the craftsmanship of the brick and stonework over a cool drink or a cappuccino and admire the artistry of the turrets, balconies, arches, columns, cornices, gable ends, consoles and copings, all overlaid with scrollwork and bas-reliefs.